I was pondering today about what I wanted to blog about, and my business coach came to mind. Many people think a business coach is a waste of time and, yes, I used to be one of those people. After joining many Facebook accounting groups, I kept hearing about this business coach – Richard Roppa-Roberts, owner of Quasar Cowboy Consulting. My business was going nowhere at the time, so I thought, what the heck, I’ll give him a try. And, to this day, I have absolutely no regrets. Here’s what my business coach has done for me, and what a business coach can do for you, too. 1. He has helped my business grow tremendously. I would not be where I’m at if it weren’t for him and, of course, my family. So, if you’re looking to grow your business, I encourage you to find a good business coach. And, when I say good, I mean one that invests their time in you and you truly know they want you to succeed. It’s just not about the money to them; they truly care. 2. Support. Not only does he help grow your business, but he’s also there to support you throughout the good and the bad. And, as much support as he gives, he’ll put you straight, too. It’s not all hoity-toity. If you’re doing something wrong/different, he’ll be upfront and tell you straight up. 3.Encouragement. The encouragement I get from my coach is a godsend. You’re not always going to have good days. You might have as many bad days as good. When I’m having a bad day with regards to my work/business, he is always there to encourage me. He lifts me back up and makes me believe that “I can do this.” And, you know what? I can, and I have, and I will continue to do so. He’s not only a great mentor, but he’s also become a great friend. If you can find a coach with these qualities, I highly recommend you invest in one. You won’t regret it. I know I haven’t. 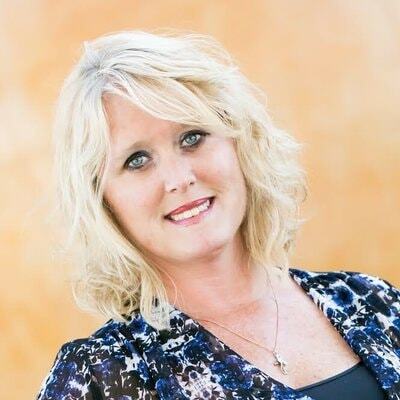 Amanda Hinzmann is owner/operator of Estrella Bookkeeping. She has over 20 years of accounting experience, with seven of those years being a virtual bookkeeper. She started her business in 2011 with just a few clients. She's now up to 20 clients and one employee. She's a huge advocate of QuickBooks, especially QuickBooks Online. As of December 2017, she converted all of her clients to QuickBooks Online.